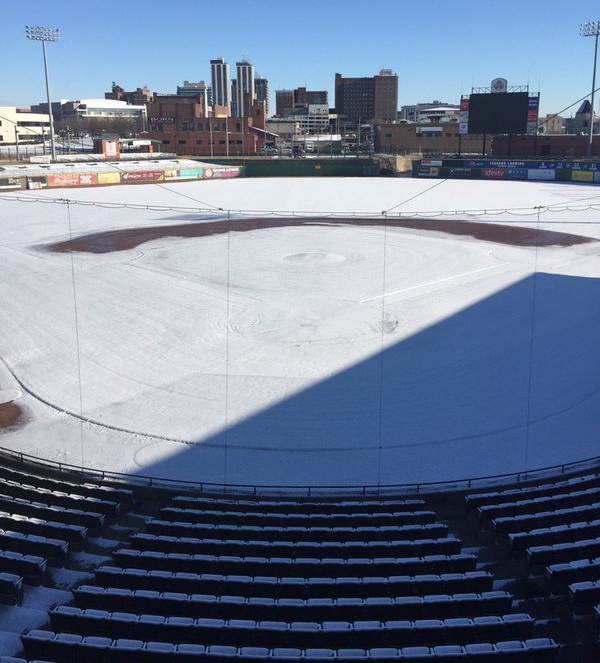 First snowbound stadium photos of the season! Let’s start in Beloit, which got 14 inches of snowfall. 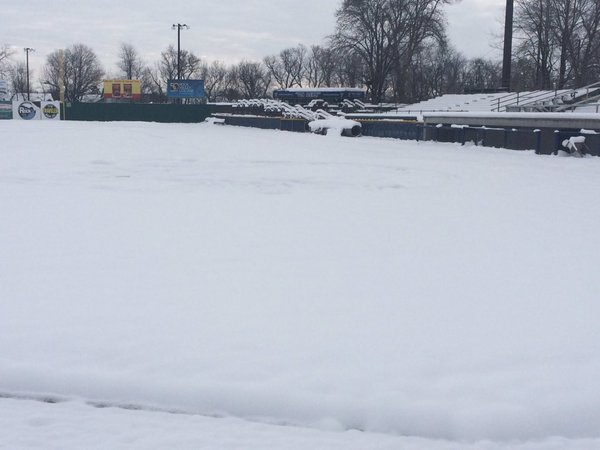 Here is a shot of Pohlman Field from this morning, looking at the first-base side of the field. The visitors’ bullpen is located to the right of the foul pole seen in the upper left corner of the photo. All four photos were shared by their respective teams on social media. 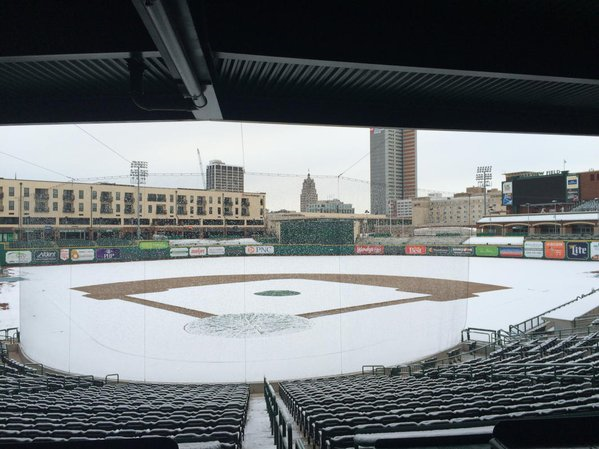 This entry was posted in Beloit Snappers, Fort Wayne TinCaps, Midwest League, Peoria Chiefs, snowbound stadiums, South Bend Silver Hawks. Bookmark the permalink.